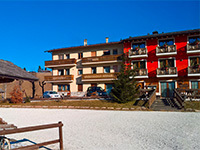 Listing of holiday cottages of Asiago. Do not forget to visit the section Farm Holidays the other municipalities of the Asiago Plateau via the menu on the left. TheGrüuntaal Farmhouse, surrounded by greenery ofAltopiano di Asiago, is an oasis of peace, comfort and relaxation where you can spend unforgettable moments of relaxation and good taste.